Apple sent invites out to their select group of press this morning, confirming that September 9 is the day for things to be (re)invented. If you haven’t been keeping up with rumors, Apple pundits are expecting there to be two iPhones (iPhone 6), one with a 4.7-inch display and another with a 5.5-inch. Rumors as of yesterday also seem to believe that Apple’s first take on a smartwatch (iWatch) will be a part of the festivities. The whole event will undoubtedly be amazing, great, beautiful, better, extraordinary, phenomenal, wonderful, gorgeous, magnificent, exciting, amazingly remarkable, incredible, advanced, and magical. 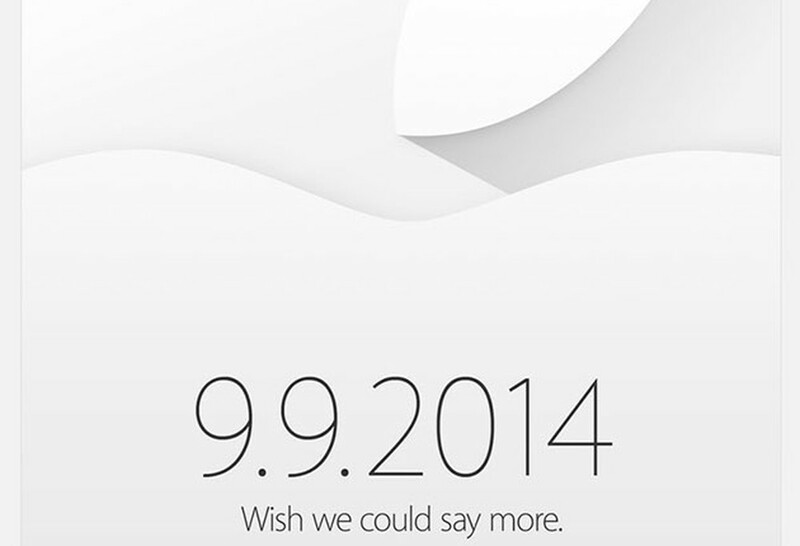 Of course, Apple’s event is only a week after Motorola, LG, Samsung, Asus, and Sony show off their new goodies. It should be a fun month.